This version of banana bread is the only one I make now. It is perfect - tender, flavorful, and it works every time. 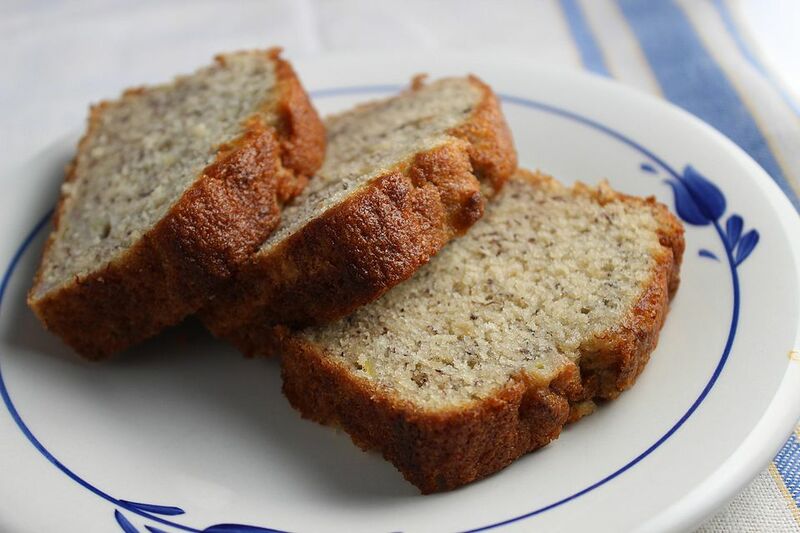 It isn't your typical quick bread, but is made like a cake. Be sure to look at Step by Step: Banana Bread before you start. Preheat oven to 350 degrees. Spray a 9x5" loaf pan with nonstick baking spray containing flour and set aside. Cream butter with 1/2 cup sugar and brown sugar until light and fluffy. Add egg and vanilla and beat well. Sift flour with baking powder, cinnamon, baking soda, and salt. Mix banana with the buttermilk in small bowl. Add flour alternately with the banana/buttermilk mixture to the butter mixture, stirring after each addition until smooth. Pour batter into prepared pan. Combine 1/2 tsp. cinnamon with 2 Tbsp. sugar, mix well, and sprinkle over batter. Bake in 350 degree oven for 45 minutes to one hour. Remove banana bread from oven, then remove from pan and cool on a wire rack. Store banana bread in plastic bag. The Best Banana Bread, Ever.